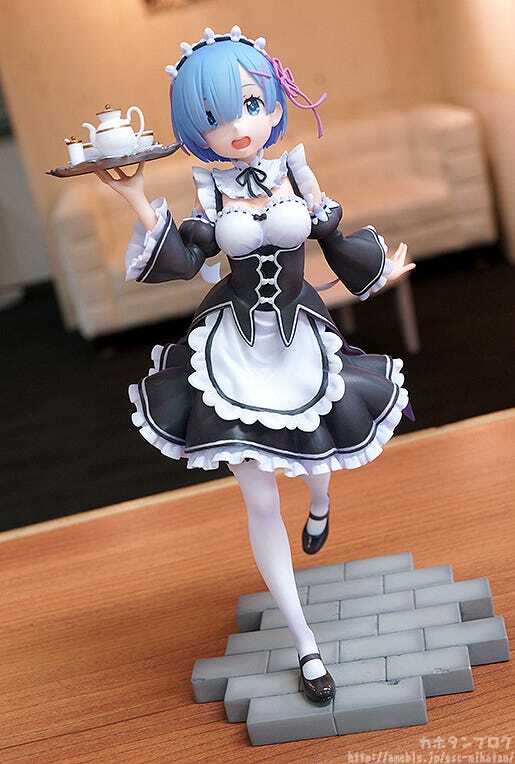 From the anime series ‘Re:ZERO -Starting Life in Another World-‘ comes a 1/7th scale figure of one of the maids that serves at the Roswaal mansion, Rem! 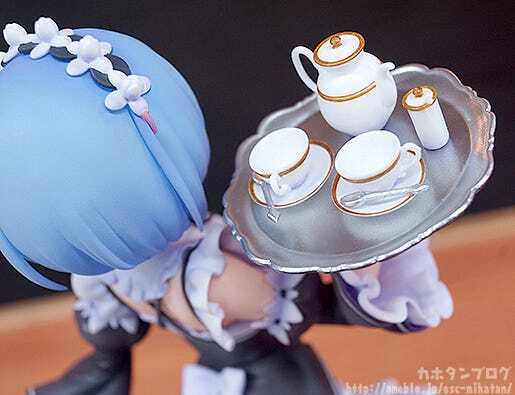 The figure is based on the 2nd volume of the Blu-ray/DVD jacket cover and features Rem wearing her characteristic maid outfit holding a tea set on a tray to show her hard at work in the mansion. 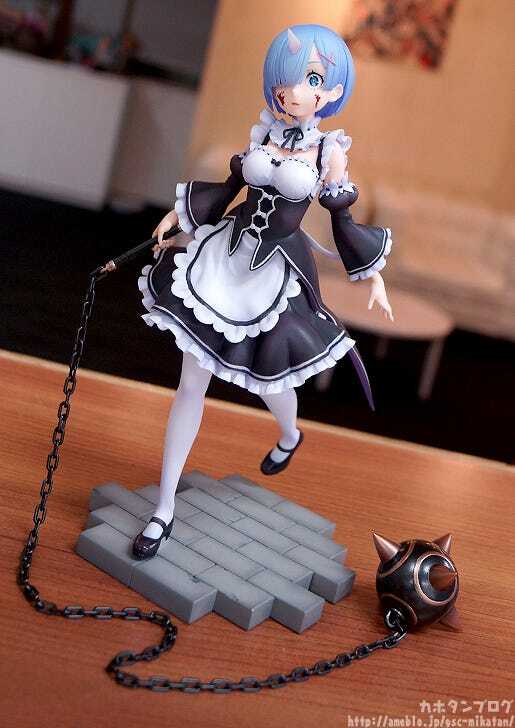 A set of alternate parts to display her in her demon form are also included together with her morning star weapon, allowing you to choose how you prefer to display her in your collection! 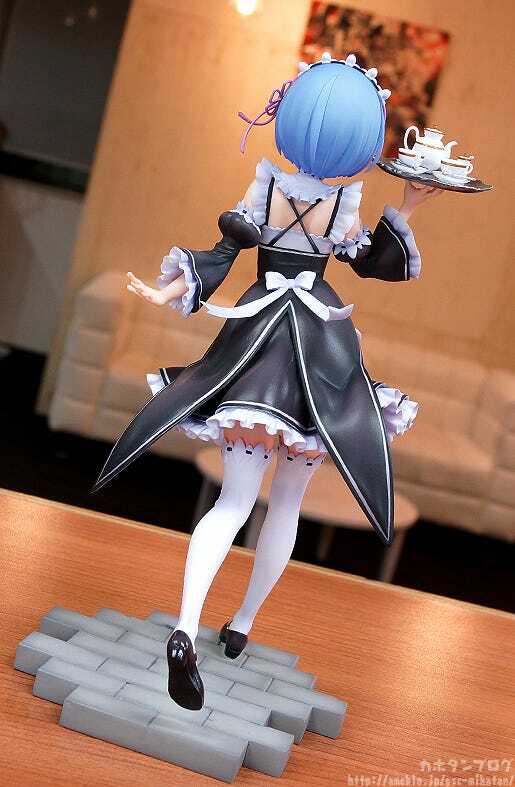 The figure is based on the 2nd volume of the ‘Re:ZERO -Starting Life in Another World-‘ anime Blu-ray/DVD jacket cover, and features the adorable Rem prancing forward ready to serve some delicious tea! 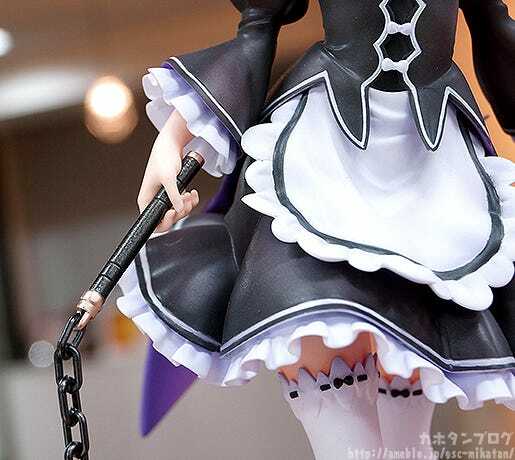 Her maid outfit is filled with frills and creases and has been so intricately sculpted! 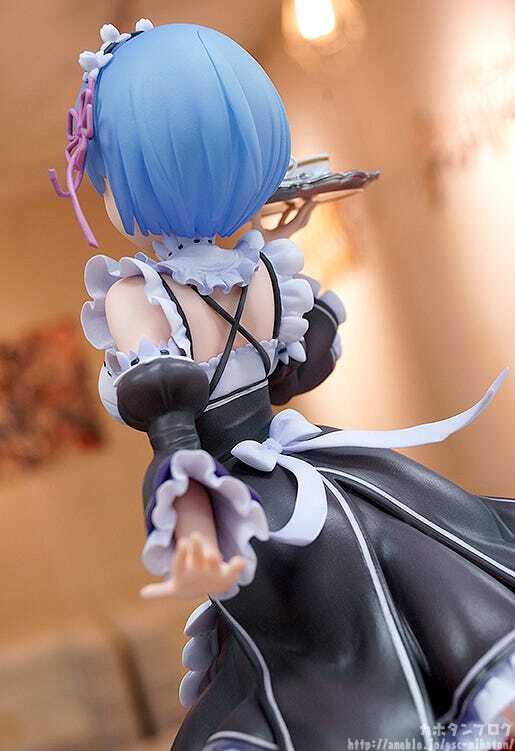 Even from the back the details are a treat to the eyes! ▲ The frills of her outfit around the shoulder are all carefully crafted! 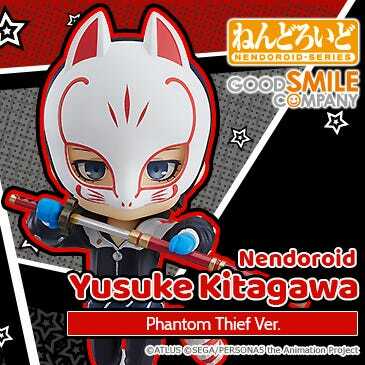 Don’t you feel the urge to protect this smile?! 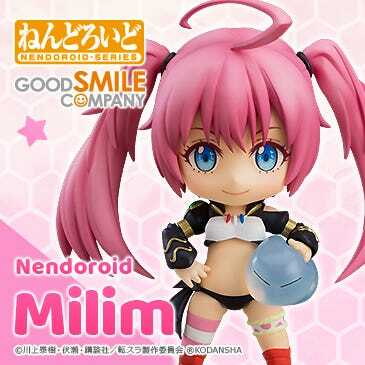 The slightly upturned eyes and her wide-open mouth that show off her upper teeth all come together to make such a cute appearance!! ▲ The soft look of her thighs make them so very touchable! The details on her upper body are so eye-catching that I think this area is often overlooked, but it is by no means no worth the look! Just look at those little shoes as well!! But that’s not all!!! 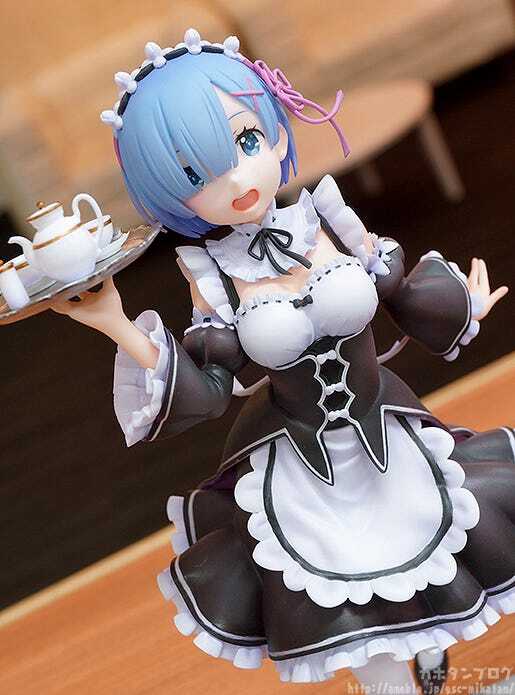 This product allows you to enjoy more than just the angelic side of Rem! 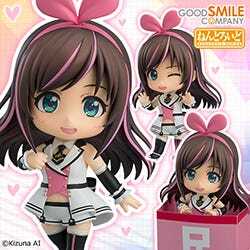 Fans will know there is a demon inside her and she comes with interchangeable parts to display that side of her too!! 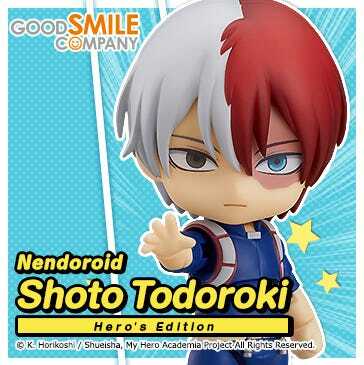 The interchangeable parts include both an alternate expression and alternate arm parts! Such a huge change compared to the smile above!! 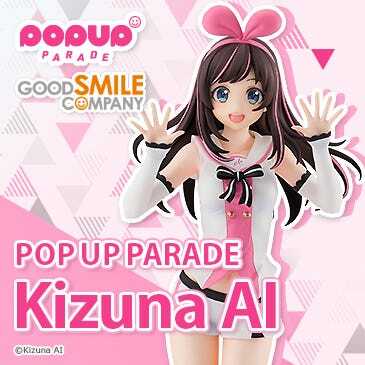 Those maddened eyes, the blood stains on her cheeks… the ominous appearance is a huge contrast to the cheerful smile we saw just a few seconds ago!! 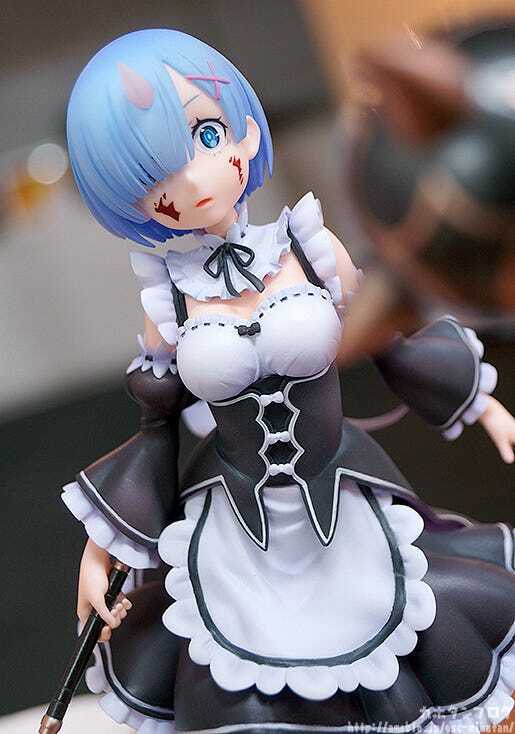 The spurts of blood on her face are not something we see very often – particularly on bishoujo figures, and Ekoshi from the production team apparently spent ages perfecting the paint job through trail-and-error! Apparently it was very difficult to get just the right area for the blood to look good while capturing not only the madness of her expression but also the feeling of emptiness and lack of emotion. It came out looking so convincing!! ▲ The red blood contrasts her white skin so clearly! 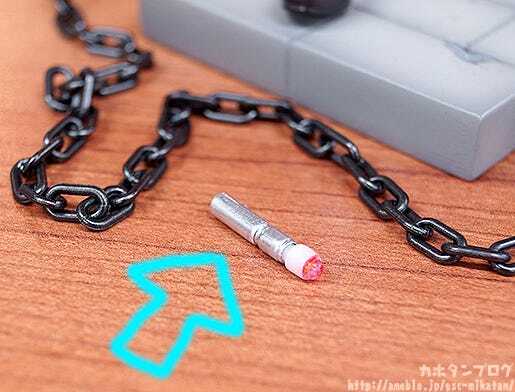 ▲ You simply push the tip and it lights up! Isn’t science amazing! ▲ I made a GIF to try and explain how amazing these fingers are! 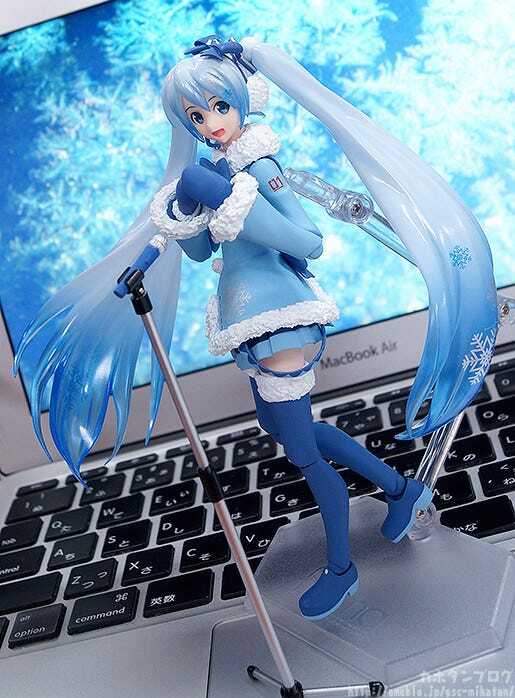 To summarize, this figure comes with these interchangeable parts! 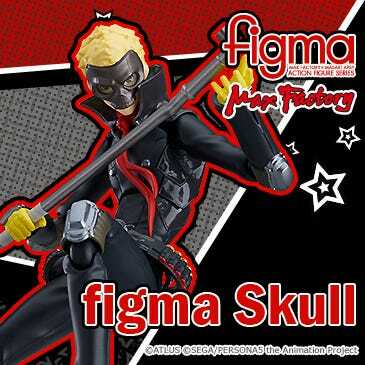 Quite an impressive line-up of optional parts for a scale figure! 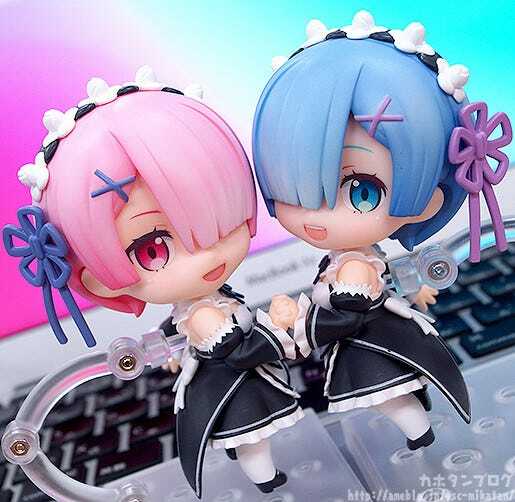 Perhaps even one of the largest sets of all GSC scale figures! 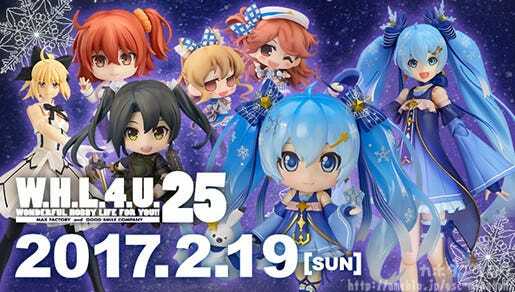 She’ll be up for preorder from the 14th February! 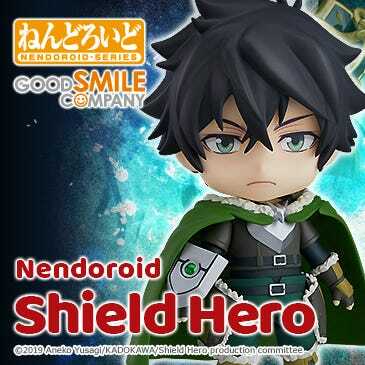 Plus, don’t forget that this lovely Nendoroid is currently up for preorder! 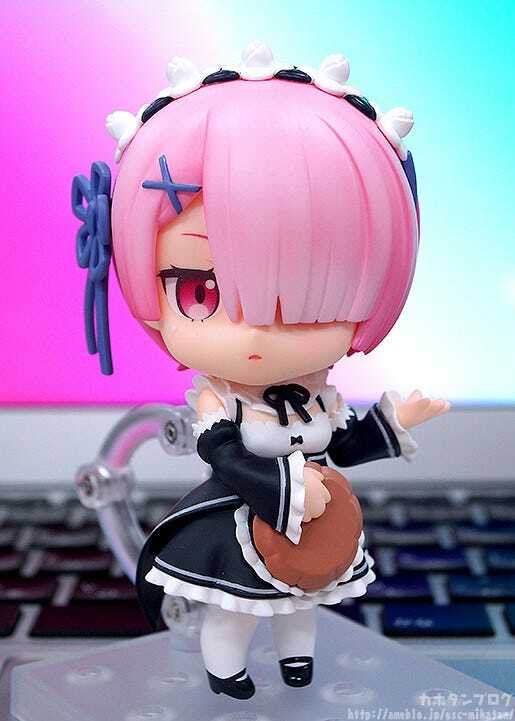 She even comes with hands to hold parts with the previously released Nendoroid Rem!